Coffin Club - Join the Funeral Revolution. 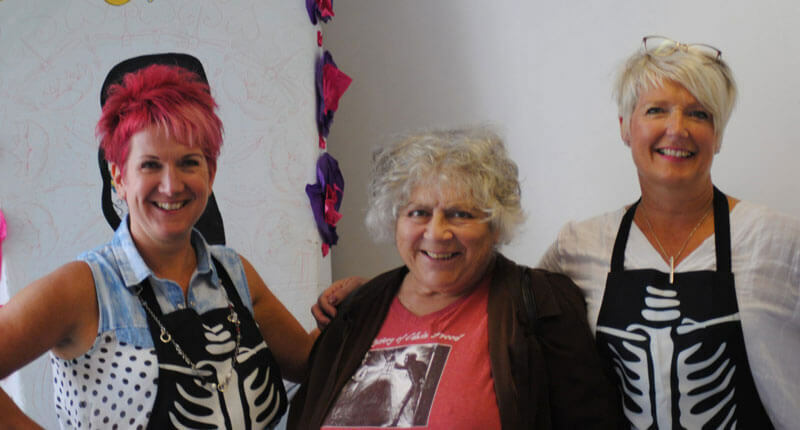 Founders Kate and Kate with Coffin Club Patron Miriam Margolyes. Empowering people to take control of their final send off! Coffin Club is all about learning about all the choices that are available for your end of life celebration, through talks from industry specialists and the provision of a dedicated safe space to talk about what is, traditionally, a taboo subject. Clubbers can come just for the planning or, if they wish, have a coffin to decorate adding another creative element to their perfect send off.